It's been just a few weeks since the roll-out of Venezuela’s new money and inflation is already at 100 percent. News provider Bloomberg has its own inflation scale: the Bloomberg Cafe Con Leche Index. After a week and a half of no changes, the price of a cup of coffee has surged in the past two weeks, climbing to 50 bolivars from 25 bolivars. 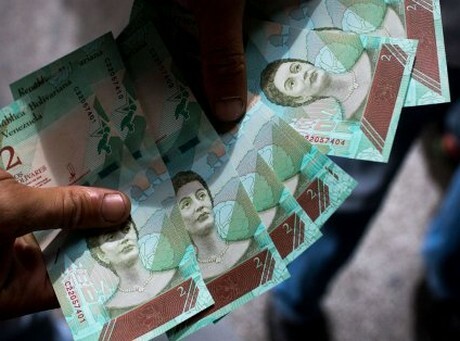 President Nicolas Maduro stripped five zeros off the currency in August to - at least, for a while - simplify basic business transactions in a nation devastated by years of hyperinflation. The price increases over the past two weeks have pushed annual inflation above 100,000 percent. For those still struggling to get used to the new pricing system, 50 of today’s bolivars equals 5 million of the old ones.